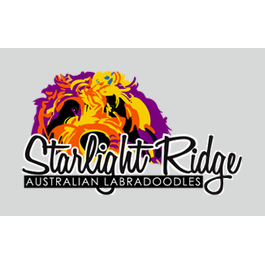 Starlight Ridge Australian Labradoodles is located in Grants Pass, OR and is a boutique breeder of authentic ALAA registered Australian Labradoodles. They make it their mission to raise pups in a caring home so they do not use kennels for breeding. Their puppies are raised in a home setting where they will be able to learn the sounds of music, lawn mowers, vacuum cleaners, telephones ringing and children playing.